SHiFT Charlotte is about building community and tribe.  SHiFT Charlotte is about coming together to learn, to grow, and to share with each other. SHiFT Charlotte is about presenting exciting unique and passion-filled information to an audience ready to bring new education and experience into their lives. If you feel like you would be an exceptional speaker for our event please read the next paragraphs carefully before submitting your information. I (Lori) will be in touch after getting your application but please be aware it may be a few weeks as I do this type of work in batches. 1. We look for someone who is already doing this work. 3. We look for someone who has a good website (ie. up to date, relevant, professional); someone who is keeping up with social media regularly, and someone who already has workshops scheduled for smaller audiences (or larger ones). 4. We look for local speakers from the Carolina's. 5. We look for folks that can rock our stages with information that just wants to be shared to help SHiFT the people of Charlotte and beyond. Please note that there is no direct financial compensation for SHiFT Charlotte speakers. Speakers will be marketed in advance of the event, during the event, and vending space at the event is complimentary. In exchange for your time/passion/experience, you have the opportunity to directly impact hundreds of attendees and turn them into potential clients/customers by the power of your workshop. Please take a few moments to think about where you are in your business; Is your website up to date, is your social media presence established, do you have content to be able to share with us so we can determine whether you are a good fit for our event? We will be using the information you share to take a look at your online presence before reaching out to you and if your online content is not ready for a review, then you might not want to submit just yet. If you are ready, then please, we want to know more about you - give us the goodies on your work and hit submit and share with us. Finally - SHiFT Charlotte is truly a partnership each year between our team and our speakers. We work closely together in trust, authenticity, and joy. As such, we take the process of looking for speakers very carefully, and we take extra time and effort to do this. Which is why we ask that you spend a few moments filling out the info below, as we will take the time to go over what you provide. Big thanks for tossing your name into the mix. Before you hit submit, please read back though the application form. We are going to use the information you provided above to learn more about you. Is everything you provided here showcasing you and your work ? If yes, please submit. If no, please wait until you think you and your online presence is really ready for SHiFT and submit later on when it is.